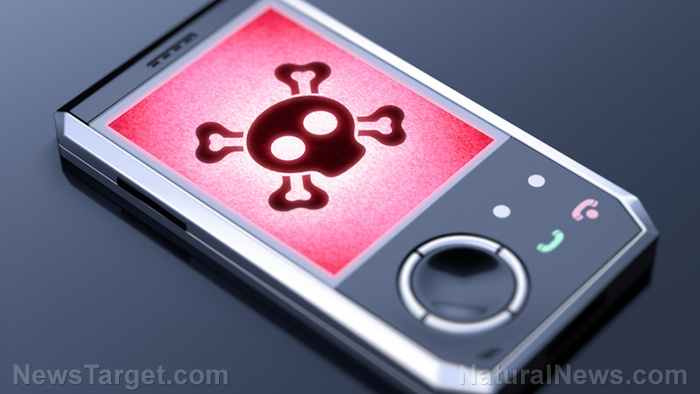 (Natural News) In our modern world full of cell phones, digital technology, and wireless connections, we are constantly bombarded by electromagnetic frequencies. Even though we can’t see them, these invisible frequencies may cause health issues to those who are exposed to them on a regular basis. This should be a cause for concern considering most of us frequently have or use a cell phone in our daily lives. Fortunately, there are ways to help protect yourself against the dangers of cell phone radiation. Stop using a cell phone if you don’t need to. There is no doubt that cell phones are modern conveniences that are extremely valuable in terms of communication. However, you don’t need to use one all the time. When your phone is not in use, you can simply turn it off. A cell phone doesn’t emit any radiation when it is turned off. If you have to keep it turned on, place it on airplane mode whenever you can. Keep your distance. When you do have to use your cell phone, try to keep your distance. Around 30 to 40 centimeters away from your body should be fine. It will also help you not to strain your eyes. Try to go hands-free if you can. Talking on speaker mode reduces your need to hold your cell phone up to your ear. You can also use a wired headset or an earpiece, but make sure it is a corded earpiece that plugs into your phone and not a Bluetooth or wireless earpiece. Those items still emit electromagnetic frequencies. At night, refrain from sleeping with your cell phone right beside you. Place it on airplane mode and keep it on the other side of your bedroom. Women should also avoid keeping their cell phones in their bras. Reduce EMF exposure at home. There are other alternatives to staying in touch without a cell phone. You can still make calls on a corded telephone or landline. Refrain from using wireless connections as much as possible. This includes WiFi connections on computers and appliances that use wireless functionality. Use an EMF shielding device. These devices often come in the form of holsters and cell phone holders that can block radiation. To find a shielding device that blocks the majority of EMFs, be sure to check out the Specific Absorption Rate (SAR) value on the product label. The SAR value is an indication of the rate at which energy is absorbed by a body exposed to EMFs. You can also buy a radiation-protective device that you can wear around your neck or attach to your phone. Seek good reception. Here’s another good reason to only use your cell phone only when you have five bars of reception. If your phone has good reception, it will use up less power for transmissions, thereby reducing the amount of radiation it emits. Phones with poor reception have to work harder to transmit. If you want to want to learn more about EMF radiation, you can read more articles by going to EMF.news.